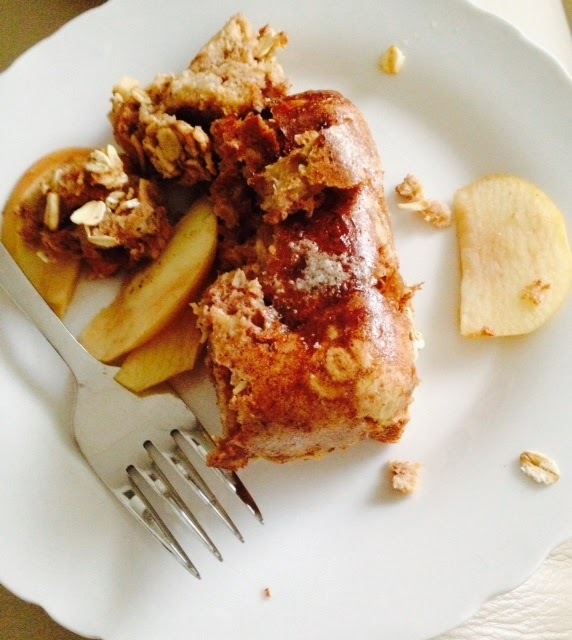 I like to keep it simple (usually) and I have indulged in this dish for both breakfast and dinner. Feel free to change up the type of milk, spices and fruit you use…make it your own and get creative! 2. 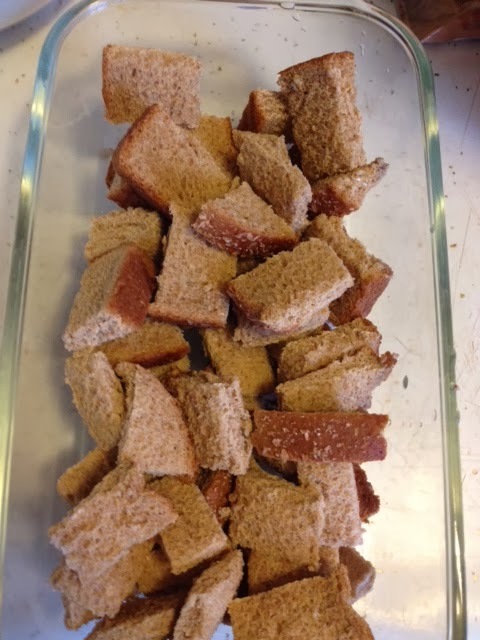 Cut each of bread into 4-by-4 pieces and place in loaf pan. 3. In a bowl whisk together eggs, milk, vanilla, sugar, gingerbread spice and cinnamon. 4. Pour batter evenly over the bread pieces. 5. 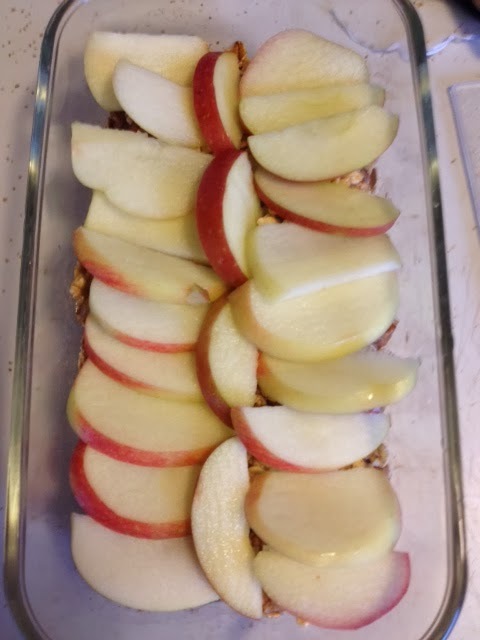 Sprinkle oats over the top of the bread. 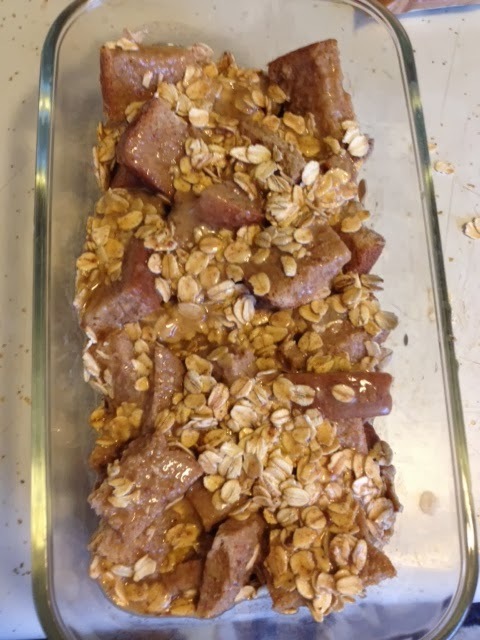 Then layer the apple slices over the oats. 6. 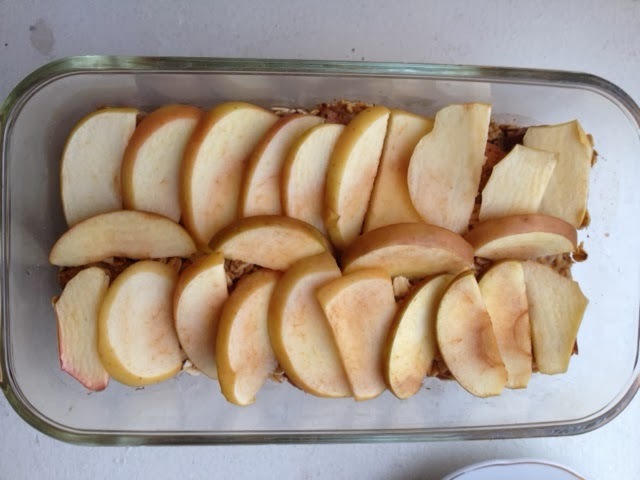 Cover the pan with aluminum foil, place in the oven and bake for 30 minutes. 7. Remove from oven and allow to cool for 10-15 minutes. Cut, serve and eat up!